It’s common knowledge that fast food helps to make you overweight. However, is the opposite true? Is a meal at a dine-in restaurant healthier? Unfortunately, no. In fact, depending on the entrée being served, it is possible that a meal that appears to be reasonability healthy can give more you calories than the average fast-food meal, even when you don’t include desserts and appetizers. Do your research. Many restaurants provide nutrition information for their menus online. People who are watching their weight have a tendency to skip lunch if they are eating out at night. 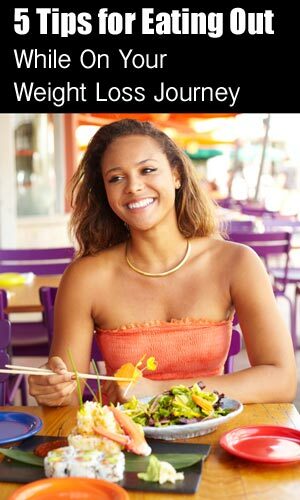 However, as experience shows, this practice is actually counter-productive to your weight-loss efforts. You skip lunch, which makes you hungrier than usual at night, and for the most part, this results in going all out on the appetizers and salad bar before you even start the main course. For optimum results, don’t eat more than three-quarters of whatever’s on your plate. 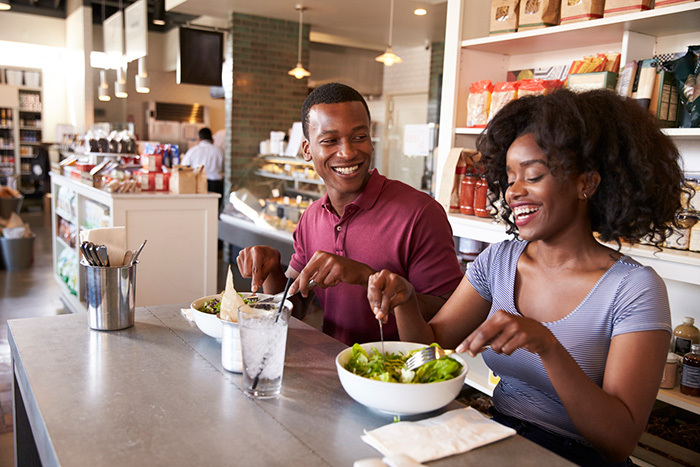 Nutritionists suggest that this simple step can help you cut down as much as 300 calories off your meal when you are eating out. The best part is that eating ¾ of the meal makes you full, which makes it easy to let off the remaining bites. Portion control works. You may be tempted to go for the ‘upsize’ at your favorite takeout not only because you love to eat, but also because it is good value on money, right? Unfortunately, this is not a win-win situation, for even if you are paying just a dollar for a larger size, you may be taking in at least 70 extra calories. Along similar lines, you should also stay wary of meals promoted as ‘light’. While restaurants promote these meals as healthy, but there always a chink in the armor. For instance, a large steak with gorgonzola cheese and vegetables cooked in butter maybe low on carbs, but it is certainly brimming with saturated fat and calories. When going for the salad, fill your plate with veggies, greens, chickpeas, and low-fat dressing instead of cheese, croutons, and mayo. Likewise, if you can’t resist the urge to have a steak, go for small servings of tenderloin, strip, or flank steak instead of a 10-ounce rib-eye! With a few exceptions, all restaurants offer a variety from which you can pick healthy options. Also remember that since it is your weight loss fight that is at stake here, be bold about your selections and do not succumb to peer pressure.